Did you miss out on being part of our Supporter’s Wall back in 2009/10 when Heritage Park was being built? Want your family’s names to be a permanent part of Heritage Park? 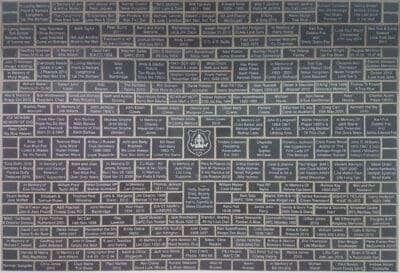 Now’s the time to ensure your name is forever at Heritage Park by purchasing a brick in the new supporters brick wall, an ideal gift or memento for any Bishop Auckland fan. The new supporter’s wall will be on the outside of the stand near the west turnstiles. The bricks, which are designed to be placed outside, will be exactly the same style and quality as the original. As before the bricks are available as singles, doubles or even triples. If you’d like to add your name or message and become a permanent part of Heritage Park then you can find out more and order your bricks now via the online club shop.